Get Instant Cash Up To $7000 For Old Unwanted Scrap Cars In Sydney! Interested in selling your old unwanted car lying unused in your yard or driveway since years? You’ve come to the right place! 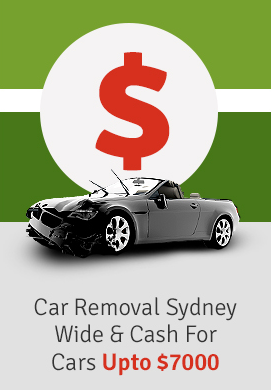 We’re the busiest car buyers that offer TOP cash for scrap cars and also offer SAME DAY free removal anywhere in Sydney. So whether your junk car is very expensive to repair or may cost you hundreds of dollars to get it through its next MOT, or is at the end of its on-road life, we at Metro Car Removal will tow it away after paying you the promised cash at your door. The process is very simple. Our collection depots span Sydney wide. So when you contact us online or over phone, we will quickly work out the amount we will pay you and the depot closest to your suburb. Our team will quickly organize the same day pickup, and we can even come on weekends if that suits you. We can buy all type of vehicles including utes, vans, cars, junk trucks, boats, bikes and 4×4. Once you accept our offer, we will quickly send over our team along with a tow truck to your place at the mutually agreed pick up time and offer cash for scrap cars at your place. We always pay you the promised cash and will also complete all the paperwork for free. We serve all Sydney suburbs. Once you make up your mind to get rid of your Scrap car, call us at our office. It automatically means that you are now tired and want to choose the best cash for scrap cars service in Sydney for the job. When you choose us, there won’t be any waiting time as we always arrive on time at our customer’s place anywhere in Sydney. We can even come on weekends to offer best ever cash for scrap cars. Our team arrives on time and pays the promised cash after completing the necessary paperwork. If you want to choose the FASTEST and most reliable cash for scrap cars service in Sydney that offers reliable same day removal, then no one is better than us!! We have been in this business for many years and offer BEST EVER DOLLAR for old cars and other vehicles. We can even buy entire fleet of trucks. We always arrive on time and pay our customers the promised cash right at their door. We always try to make the old car removal process as simple as we can. With us, the entire Scrap car removal process becomes fast and might even take just an hour or two at the most! Isn’t that GREAT! Are parts of your car or any other junk vehicle hanging loose or have been removed? Are your car wheels, stereo, or windows missing? Is your junk car or any other vehicle too large or is in very poor condition to be removed? Trust us we can definitely help you with FREE SAME DAY towing of your unwanted junk at HIGHEST POSSIBLE PRICE up t0 $7000 Call us quickly for a free quote! By successfully recycling or reusing much of the scrap cars, we at Metro Car Removal are able to easily maximize various environmental benefits. As discussed above the cash for scrap cars removal process is very simple and we also offer Sydney wide collection. We won’t charge you any towing fee. It’s completely FREE. If you have a old car lying around since years, or it’s a pure MOT failure, there’s no need to worry at all. We are there to pay you TOP DOLLAR at your door and are committed to ensure same day express service. As we do all the hard work when it comes to removing junk cars or other vehicles, there’s nothing left for you to do! Everything is FAST, EASY, and HASSLE FREE at Metro Car Removal.